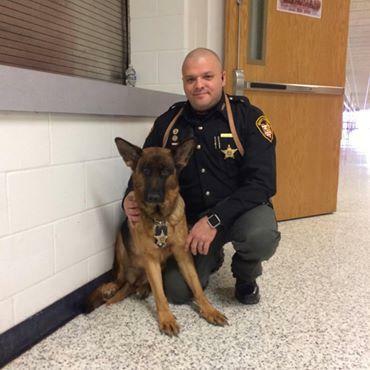 Mapleton School District was lucky enough to have Deputy Taylor and Officer Kimber join our staff this year so we wanted to show our support to the Ashland County Sherriff’s Office K9 division by raising money to help them buy necessary items for their K9 dogs. The Ashland County Sherriff’s Office K9 division is operated on donations only, so they rely on community support for funding. We will be collecting monetary donations the week of April 29th-May 3rd, and we will also have a few Spirit Days where the students can pay $1.00, each time, to participate. Each School will be doing something different for each day. Please send any monetary donations in an envelope marked “K9 Donation”. 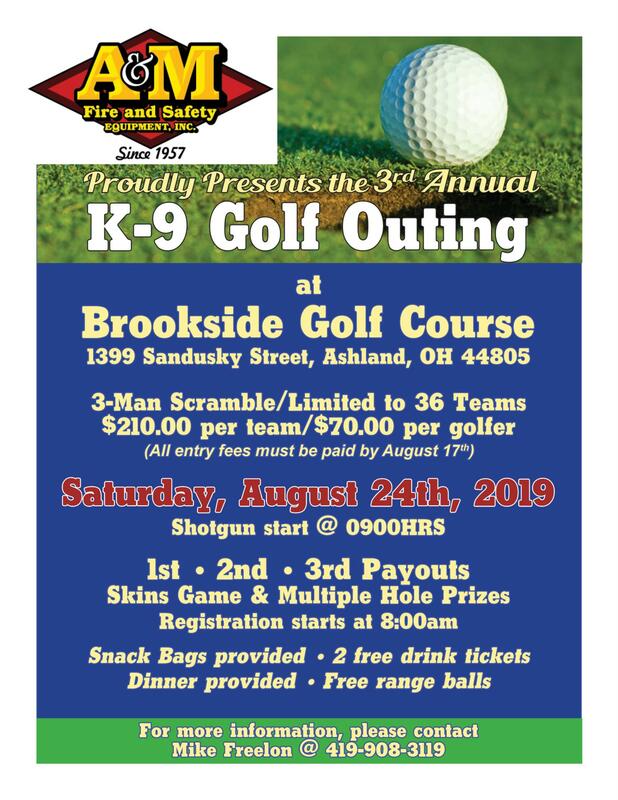 If you have any questions please feel free to contact Jodi Floyd or Kristin Oslie at (419) 945-2188. Deputy Shaun Taylor joined the Ashland County Sheriff's Office in November of 2016. He began his career in Ashland in the Corrections Division and then transferred to the Enforcement Division. He was assigned duties as a substitute S.R.O. (School Resources Officer) in 2017 and in 2018 became a certified D.A.R.E. (Drug Abuse Resistance Education) Officer. He is also an A.L.I.C.E (Active Shooter) training instructor. Deputy Taylor is a K-9 handler and he and his partner Kimber are currently teaching D.A.R.E. to Mapleton Students in Kindergarten through High School. Deputy Taylor is a member of the Buckeye State Sheriffs’ Association, a Life member of the Ashland VFW, Gibson Masonic Lodge #301, Widows Sons Masonic Riders Association and a little league baseball coach for Lefty Grove Baseball. His hobbies include working on cars, coaching sports and riding his motorcycles.